In a win and move on bracket format where scores reset after each day, Chris Dickerson is leaving nothing to chance. As the only player to have made their way through to the finals from the qualifying rounds, Dickerson has had to be at the top of his game all week, and he thinks the extra time on the course is only making him better. 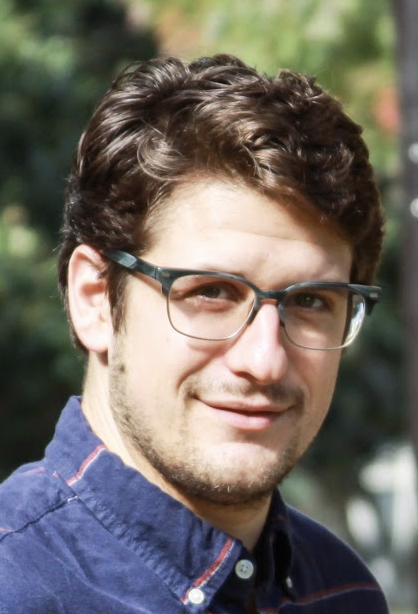 He recorded the hot round of the Disc Golf Pro Tour Championship semifinals and won his card handily. Dickerson will be joined on the final card by Ricky Wysocki, Nate Sexton, Nikko Locastro, and Kevin Jones. 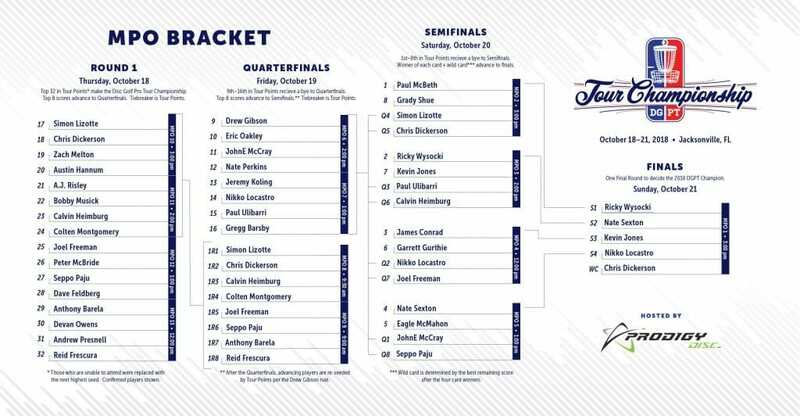 Dickerson was not the headliner on the 3 pm card, the last of the day to tee, which featured Paul McBeth, Simon Lizotte, and Grady Shue as well. 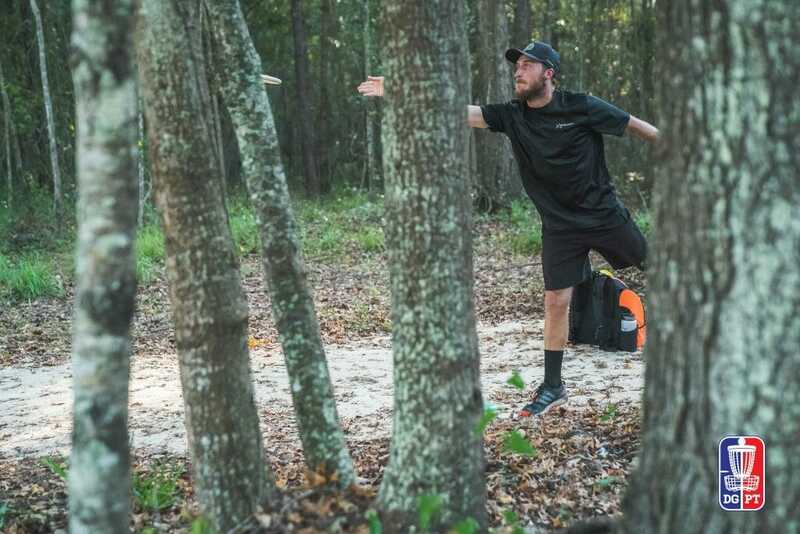 McBeth found himself down early, however, and it turned into a face-off between Dickerson and Lizotte. A bogey on hole 6A was only a slight hiccup, as Dickerson would reel off six consecutive birdies after, and miss only one more hole the rest of the round on the way to a course record 1086-rated, 13-under par 53. He has scored in double digits all three rounds of the event. Going in, Dickerson’s goal was to shoot 10-under par each round, and now thinks he may need to repeat his Saturday score if he expects to win. It should be noted that Dickerson’s parked shot rate of 28-percent was 11 points better than the next best player. Wysocki and Jones traded shots all day, pushing each other to both score in the double digits. Wysocki would win the card with an 11-under par 55, and Jones secured the wild card spot in the final by two strokes with a 10-under par 54. Where Jones was let down by his Circle 1 putting — a three-putt on hole 15 after landing in the island was his only bogey — Wysocki was buoyed by his Circle 2 tries. Wysocki went 4 of 5 from downtown, an 80-percent rate, to secure much-needed birdies on each. The semifinals were Wysocki and Jones’ first rounds of the event. With Sexton, Seppo Paju, Eagle McMahon, and JohnE McCray on a card together, you’d expect to see some fireworks. Sexton’s 6-under par 60, however, was the highest score of the qualifiers. McCray and Paju both bested that tally just to get into the semis. Not that that matters much in match play. McMahon was doomed by a run of three straight bogeys on holes 5-7, but kept himself alive with an incredible eagle on the 1108-foot par 5 hole 9. He took an overly aggressive roller line down an OB path that left him in a perfect position to attack the green on his second shot with his power. McMahon canned a 40-footer to convert. Locastro set the pace early recording a 9-under par to win the first card of the day. He went bogey-free and tied for the lead in fairway hits and Circle 2 in regulation percentage. We anticipated hometown hero Garrett Gurthie to put up a good score, but both he and James Conrad, who were only a stroke or two behind Locastro for most of the round, went OB off the tee on hole 15, and from there had to push to make up the difference. It was only bogeys to finish the round after and neither was in a position for the wild card. The Open final tees off at 3 pm after the Open Women’s final finishes up. Both can be streamed on the DGPT YouTube Channel starting at 12 pm and scores can be followed on UDisc Live. Comments on "Dickerson Looks Like Player To Beat In DGPT Championship Final"